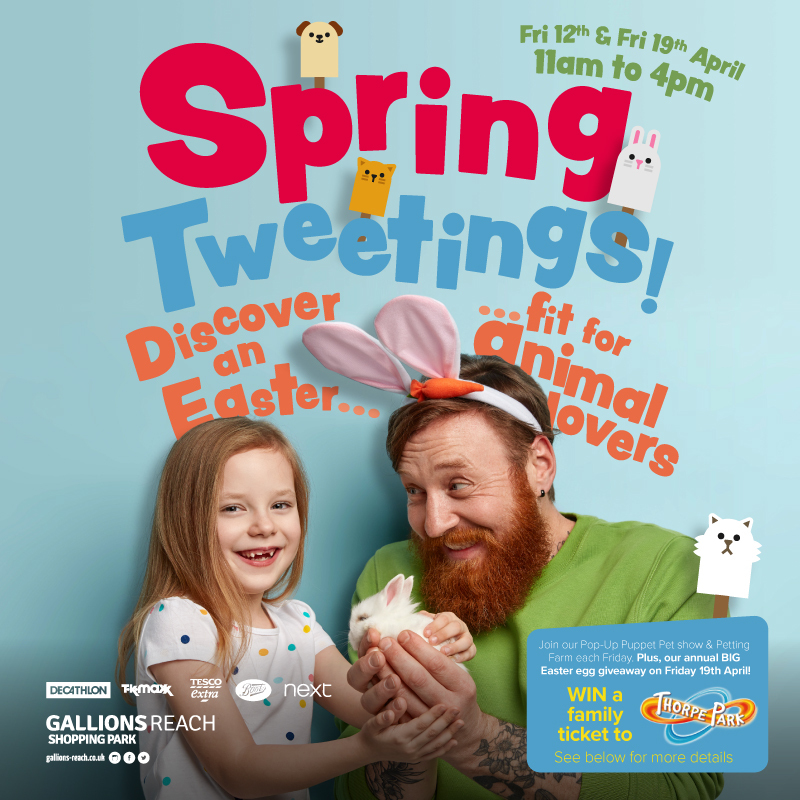 Calling all animal lovers, join us this Easter to meet all things soft, furry and adorable! We’ve got our Pop-up Puppet Pet show and Petting Farm each Friday 11am – 4pm. PLUS, our annual BIG Easter egg giveaway on Friday 19th April! We’re also giving one lucky family the chance to WIN a family ticket to Thorpe Park!